This episode’s guest is Jason Aalon Butler, vocalist of the band FEVER 333. 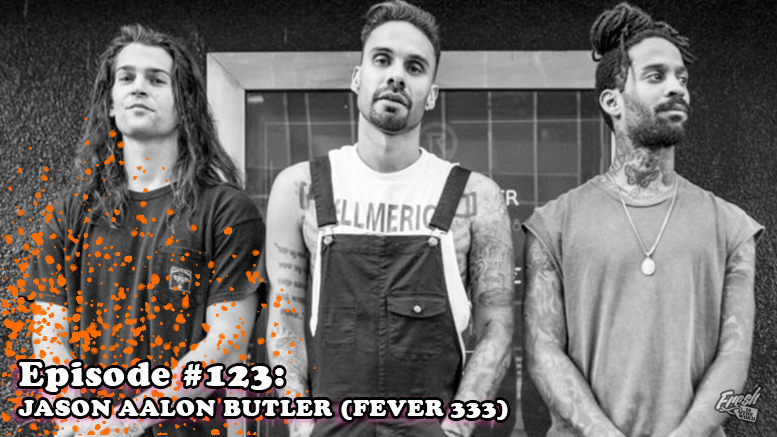 Formerly in the band .letlive, Butler has started a new chapter of his life with this new project FEVER 333 with the debut full-length album STRENGTH IN NUMB333RS. Butler’s words are not only a call to arms about the society we are living in, but also contain hope. FEVER 333 is currently on tour with Bring Me The Horizon and Thrice. During our interview, we talked about the struggles growing up in Inglewood, California, why and how the FEVER 333 project started, his musical upbringing, and finding ways for all of our voices to be heard.